Sometimes one goes there and back just to see how far it is, this was a day like that. 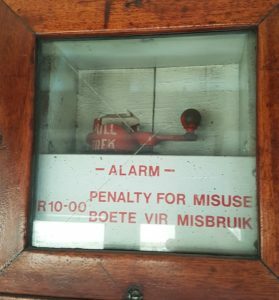 A steam train trip from Cape Town to Ceres and back on a hot, still Saturday in November made us feel that we had all the time in the world to do nothing but chill, chat, and gaze out the window at the passing glories of the Cape Winelands. Layers of stress peeled off almost imperceptibly. It was one of those days where one feels nostalgic, yet deeply satisfied. We think our day out was reminiscent of a slower, more elegant age but we don’t really know if such a time really existed, nor do we care much. Total serenity was interrupted by oohs and aahs and the clicking of camera shutters as various people hung out the windows to better experience sensational views. The beat of the engine and the echo of the whistle sounded almost primal as we travelled over passes and through valleys pulled by the big, beautiful beast of a steam engine. This old girl, Jessica, was manufactured in the UK in 1948; the Ceres railway track was completed in May 1912. The Ceres Rail Company story is very much one of revival, of breathing new life into the old. In the late 1990s, local businessman Derick du Toit bought the property on which Ceres Golf Course is located and built the Ceres Golf Estate development. He soon came up with an idea to bring the old railway track that runs through Ceres Golf Estate back into use. It is not for nothing that employees describe Du Toit as fearless, hardworking, relentless and visionary. Together with his business partner and fellow off-road racing enthusiast, Simon Beckett, and Transnet he has now made that happen. 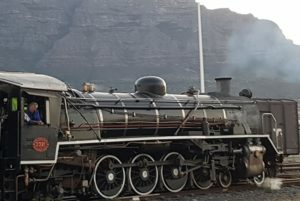 So far, the Ceres Rail Company’s fleet comprises of Jessica, a class 19D locomotive #3321; Bailey, a class 19B locomotive #1412; and the very famous, one-of-a-kind South African-built Class 26, fondly known as the Red Devil. There is nothing devilish about Jessica, who took us on our idyllic journey to Ceres and back. 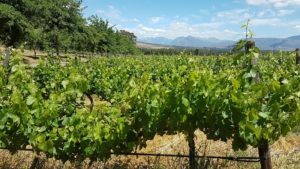 The town is situated in the Witzenberg district, one of the biggest deciduous fruit producing areas in the Western Cape. 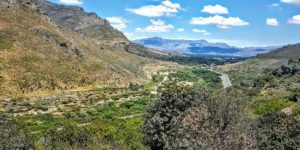 The scenery on the way is breathtaking, dramatic rock formations and valleys and hills carpeted in fynbos. After our glorious morning rolling through the countryside, Jessica stopped near the Waverley Hills Wine Estate so we could disembark via stairs brought and deposited in the sand by staff at our own little pop-up station, all a little mad and magical, SA-style. We opted to drift on foot through the vineyard rather than wait for the bus organised for us. On our lazy and languid walk there and back again after lunch it felt like time was stretching out into the distance like train tracks to a new, distant calmness. The lunch itself and the accompanying wines were a reminder of the bounty of fresh products and raw ingredients on Cape Town’s doorstep as well as the geniuses who put them together. A highlight for me was the starter of creatively assembled and explosively crunchy lettuce and cucumber salad with a poached egg, croutons, and an anchovy and spring onion mayonnaise that was so subtle it was impossible to separate and identify the flavours except for “delicious” and “knock-out”. Perfectly paired (by yours truly) with a delicious organic Waverley Hills pinot grigio. Our day was all about luxury and delight but the Ceres Rail Company is dedicated to more than just indulgence. 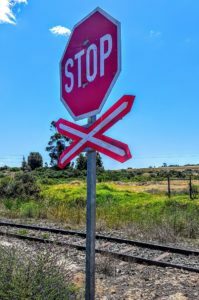 The trains started rolling after a concession agreement was concluded with Transnet as part of the South African railways company’s branch line strategy. 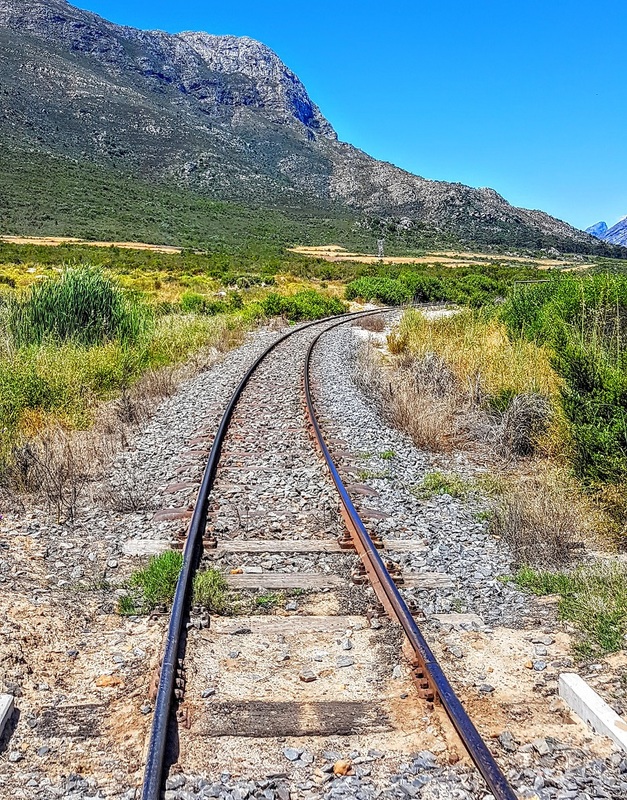 The branch line between Wolseley and Prince Alfred Hamlet has been revitalised with two main aims – to develop the tourism industry in Witzenberg to help with rural development and job creation and to move freight into Cape Town. The company started running freight, largely juice, pulp, and concentrate, to Cape Town harbour in April, most of it in general purpose containers. There are plans to increase the reefer (refrigerated containers) business, the largest component of freight out of the Witzenberg area. Since April, Ceres Rail has sent just under 1000 containers out of Ceres to the harbour. 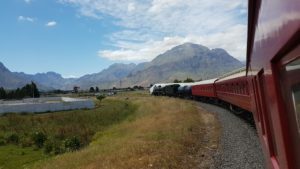 The company’s target for next year is 3000-plus containers and, ultimately, it hopes to shift the majority of the 20,000 containers coming out of this area from road to rail. Jessica and mates get to rest during the week as Transnet Freight Rail moves the freight train using a diesel locomotive. Ceres Rail Company runs the steam locos to Ceres and back on weekends with a stop for lunch.